Home / Publications / Articles / DCIM – hype or hero? At Datacenter Dynamics last November the phrase on everyone’s lips was DCIM, or to give it its full title, Data Center Infrastructure Management. Having just read a recent article on the slowdown in funding into DCIM companies, especially from venture capitalists, I was intrigued to look closer to explore whether DCIM is more of a passing “flavour of the month” or the true shape of things to come. Why do we need DCIM? As anyone familiar with DCIM will know, its purpose is to bring together all aspects of IT and datacenter facility management – hardware and software – with a view to creating real time monitoring and management reporting across the datacenter, and ideally across the entire enterprise. However, there are no agreed standards, scope or methodology as yet. Add in a large number of providers and widely differing pricing strategies and you have all the best and worst of new technology in its infancy. It is perhaps this lack of clarity that is making some investors wait to see who will emerge victorious before committing too much. But what does not seem to be in doubt is that DCIM has an enormous amount to offer. We are increasingly seeing clients who implemented Riskenomics on one aspect or facility, now rolling it out across multiple sites and across a number of areas to provide far more comprehensive and joined up management information. There does definitely seem to be an appetite to be able to view the entirety of the infrastructure and the interdependencies of one aspect to another. And one of the promises of the DCIM approach is to provide real management information upon which strategic, as well as operational, decisions can be made, and not just reams of raw data. Along with the potential to match supply of datacenters to demands, there may also be an opportunity for energy savings by making systems self-adjusting and more cost-efficient. 451 Research estimates that the DCIM market generated about $321m in revenue in 2011. They expect DCIM sales to grow at 44% compound annual growth rate (CAGR) to reach $1.8bn in 2016, a little higher than the 39% CAGR they forecast 12 months ago. MarketsandMarkets, on the other hand, estimates that the market was $307m in 2011 and forecasts that it will reach $3.14bn in 2017 with a 47.3% CAGR. 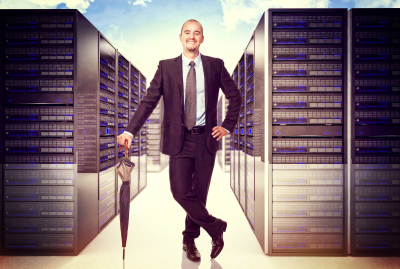 They say that banking continues to be the largest adopter for DCIM. It’s all very exciting and full of promise. Yes there is plenty of hype at the moment, but I do believe clear winners will emerge and we will move from where we are today, with DCIM implementation by the “early adopters” moving into mainstream. Whilst not a panacea, if implemented well it certainly has the potential to be a hero for some.